Surrey have confirmed the signing of Sri Lanka batsman Kumar Sangakkara. The 37-year-old is top of the current Test batting rankings and fifth in the all-time list of Test run-scorers. He will retire from one-day internationals after the forthcoming World Cup and is likely to be available for much of the 2015 county season. "He is a five-star player and person and that is important because he will be working with our homegrown players," Surrey director Alec Stewart said. 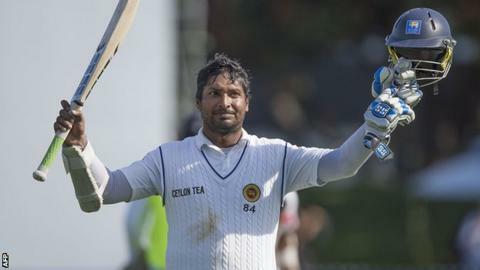 Sangakkara, who is the fourth highest ODI run-scorer with 13,414, has previously played county cricket in England for Warwickshire and had a two-game spell with Durham last season, making 159 in his final innings. "He is the number one Test batsman in the world but it's the special character that he has which is as important to us," Stewart added. Sangakkara has agreed a two-year contract.